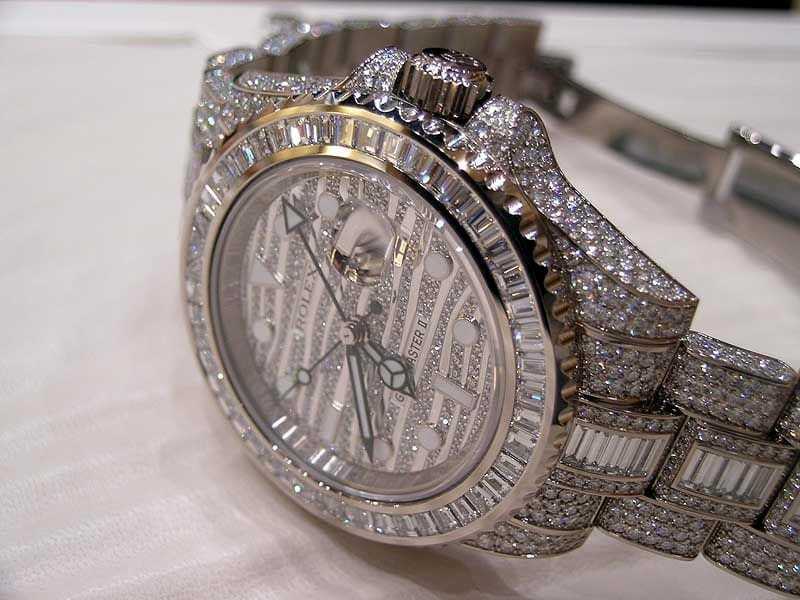 Many people believe that adding diamonds or gemstones to a watch will invariably increase its value. In some cases, this is correct since the intrinsic value of the added materials will augment the value of the watch itself. However in other instances, the watch in its unaltered, all-original condition is worth far more than the material value of the added diamonds, and customizing the watch in any way actually becomes detrimental to its overall value and desirability. Adding Diamonds will add value to your watch, right? Adding Diamonds: Yay or Nay? 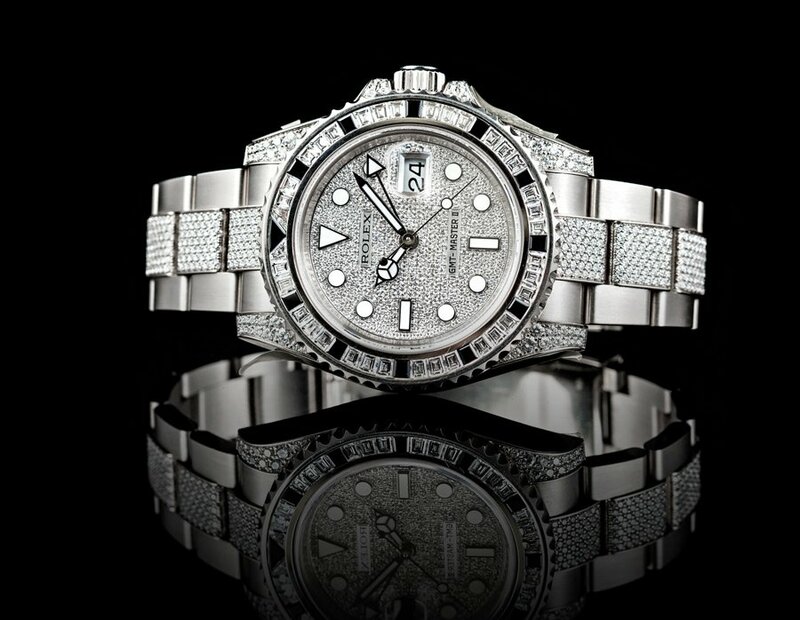 When it comes to luxury watches, there is a big difference between factory diamonds and custom-set diamonds. Factory diamonds are placed in watches by their respective manufacturers during the production process, while custom-set diamonds are installed by a third party at a later point in time, once the watch has already left the factory. Many luxury timepiece manufactures have their own in-house jewelers and gemologists to ensure that the precious stones used in their most premium watches are of the utmost brilliance and quality. These manufacturers produce a relatively small number of gem-set watches each year; however the watches that they do produce are near perfect in execution and only set with the finest gemstones available. Diamonds by Rolex are nearly perfect. A huge range in quality and execution exists among watches with custom-set diamonds, since the gemstones could have been added by virtually any entity after the watch was initially manufactured. A world-renowned luxury watch manufacturer is not likely to use sub-par gems in their own top-of-the-line timepiece; however a local jeweler might very well use economy-class diamonds to meet the needs of a customer with a tight budget. Beyond the quality of the actual gemstones themselves, there is still the issue of originality and factory-intended condition that can affect the prices of diamond-set watches. 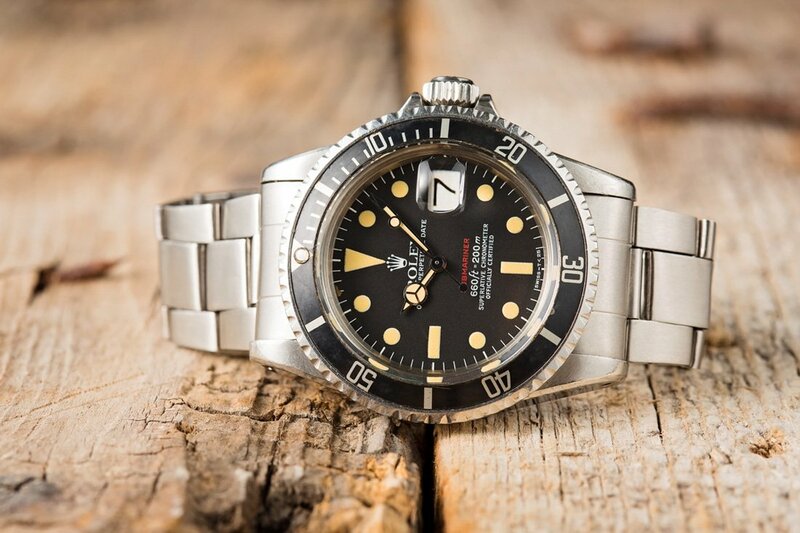 In the same way that a serious collector would rather have an entirely original, completely unpolished, a vintage Rolex Submariner than one that had been fully restored, a diamond-set Rolex is only of additional value to the purist collector if it was Rolex who supplied and set the diamonds. If you were to add diamonds to this vintage Red Submariner, it would reduce its value. In some extreme cases, custom-set diamonds can actually detract from the overall value of a watch. If someone were to alter the original dial and bezel of a vintage Rolex Daytona by setting it with a slew of poor quality, low-carat diamonds, the end result would be a timepiece that was worth significantly less than what it was before the modifications had ever taken place. Additionally, customizing or modifying a new Rolex watch will void its factory warranty, and in certain cases, make it ineligible for future factory services to be performed – unless the watch is also restored to its original, manufacturer-intended condition. While this is completely irrelevant to some Rolex owners, it can be of significant importance to others, especially if their watch was recently purchased and still has multiple years left on its warranty period. 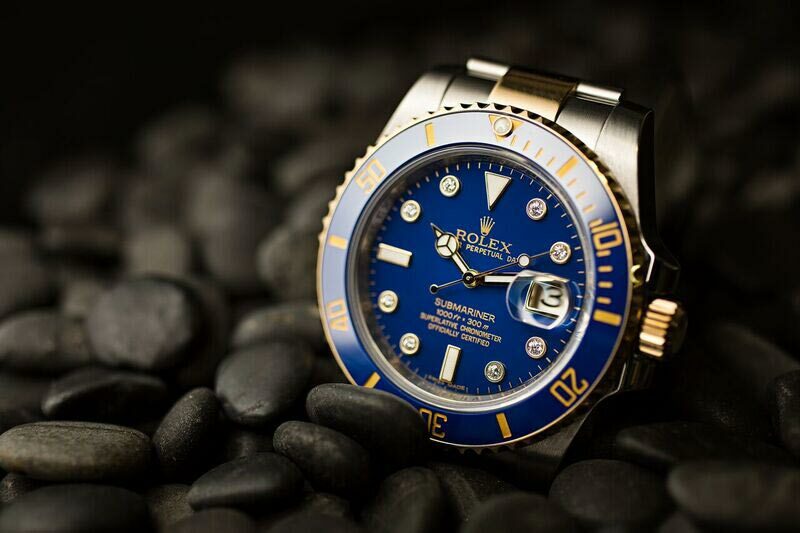 Do you think this is from Rolex or was this customized by a third party? Diamonds in a luxury watch are a great way to elevate an already premium product to an entirely new level of opulence and exclusivity. However not all diamonds are created equal, and in certain instances, improving your luxury watch can actually decrease the overall value and desirability of the timepiece.